Populist Dialogues is Alliance for Democracy's 1/2 hour weekly cable public access program, interviewing individuals on topics such as corporate personhood, single payer healthcare, tax policy, money in politics and more. All from a populist progressive perspective..
Rev. Kate Lore delivers her Labor Day sermon (updated to include recent events like the development of the Occupy Movement) and then talks with host David Delk on the condition of America and what the First Unitarian Church does on a daily basis. Host David Delk interviews two people who have been actively involved in the Occupy movement in Portland. Alex Pio and Jacob Clary discuss the origins of the Occupy movement, the hopes of the movement and some of the concrete policies they are advocating for. They discuss in detail the organizational and decision making structures created thus far but indicate that this is an organic movement, responding to the people who are participating. Jules Boykoff chairs the Dept of Politics & Government at Pacific University. Today we discuss the frames used by media to talk about the Global Justice Movement, specifically the movement in Seattle, 1999 with the WTO protest vs the Tea Party. We also talk about the framing using thus far with Occupy Wall Street/Portland. Host David Delk interviews Rick Staggenborg, board director of Take Back America for the People, about corporate personhood. Rick ran against US Senator Ron Wyden (D-OR) with his main issue being corporate personhood. Talks about what corporate personhood is, amending the US Constitution, getting pledges from those running for US House or Senate to support amending the Constitution to eliminate corporate personhood. Oregon organic farmer Scott Frost explores the present status of small family farmers in America today. Looks at the economic crisis and farming, at the lack of credit extension, on the US Farm Bill and the effect of large corporate stores like Wal Mart when they expand their sales of organics. Judy Barnes, the co-founder of Oregonians for Renewable Energy Policy, advocates for Feed-In Tariffs (FIT). FITs is how Germany became the leader in renewable energy production while creating a huge new job pool. Judy advocates for the policy in Oregon and the United States, describes how it started in Germany, has been adopted in Ontario and is now spreading to the United States with Rhode Island being the latest state to adopt the program. Learn the benefits for the environment and the economy. Barbara Dudley, founder of the Oregon Working Families Party, discusses how to focus working people onto economic issues and overcome the social issues which divide them. Looks at the reasons for founding the party, the role of Fusion Voting in development of party, and main issues party has focused on (state bank, opposition to free trade agreements, and disability fund for everyone). Goes on to talk about possible program to ban export of waste paper from Oregon in order to promote job creation in paper mills, a traditional Oregon industry. Topic: The Fraying of the Oregon Middle Class and what we can do. Jason Gettel is a Policy Analysis with Oregon Center for Public Policy. We discuss the OCPP report on the Fraying of the Oregon Middle class. Conclusion: middle class is coming apart at the seams. Noting that conditions are worst since the Great Recession, those conditions are part of a larger trend over the past three decades. The benefits of increases of productivity have been going to those at the top instead of the middle class. Causes include off shoring of manufacturing, cuts to spending on education, healthcare and infrastructure, rights to form unions under attack, cuts to taxes on those with greatest ability to pay. Host David Delk talks with the two founders of Oregon - Save Our Schools, a new grassroots parent/teacher alliance setting as its mission to raise the voices to stop the corporatization and privatization of our public school system. Stand For Children has a corporate agenda of expanding charter schools. They see a corporate strategy of divide and conquer - parents against teachers. Discusses problem of No Child Left Behind, with testing and the use of testing to be the basis for making school funding decisions. Who benefits from increased funding? Testing makes big profits for test writing and administrating corporations. In Oregon they look at LearnWorks and their corporate connections and agenda. LearnWorks is in part funded by the Gates Foundation. The development of the Tar Sands in Alberta will give us little room to develop clean energy sources and will prevent us from addressing the climate crisis. Join Trip Jennings and Bonnie McFinley as we talk about what the dangers of tar sands development are, and efforts to stop that development including the largest acts of civil disobedience in Wash DC involving the environment. First broadcast on October 23, 2011. Laurie King with the Economic Crisis Committee, Jobs with Justice Portland, talks about the effects of the economic crisis and the origins of the Occupy Wall Street in that crisis. Discusses the unemployed, underemployed, the U6 rate, need for bold restructuring of economy, future actions. Looks at federal legislation to create an economy that works for the other 99% of the American people. First broadcast on October 16, 2011. Nate Gulley is legislative coordinator with OPAL Environmental Justice Oregon. In this interview we talk about environmental racism and justice and equity issues surrounding public transit as manifested in the Portland OR public transit system, TriMet. With a 70% cut in service during the past 10 years while the price of a fare continues to increase at least yearly, there is a question of equity. Examines how increase in capital expenditures for light rail and street cars have undermined bus service itself. First broadcast on October 9, 2011. Topic: Causes, solutions and false solutions to the economic crisis. David Delk interviews Marty Hart-Landsberg, professor of Economics at Lewis & Clark College and director of their Political Economics Program on the origins of the economic crises, the proposed solutions and why those will fail. Also, covers what We The People need to do to create a new world. First broadcast on October 2, 2011. Guests Jorden Leonard and Seth Woolley of the Portland chapter of the Pacific Green Party discuss the environmental positions of the party including opposition to use of coal and nuclear energy and advocate for implementation of Feed-in Tariffs as they have in Germany. Also advocates for separation of politics and corporate power, and for amending the US Constitution to eliminate corporate personhood. First broadcast on Sept. 25, 2011. David Delk interviews Jorden Leonard and Seth Woolley of the Portland Chapter of the Pacific Green Party. Discusses difference between the major parties and the Pacific Green Party (PG)as well as differences between the PG and other minor political parties in Oregon; role of fusion voting. Look at what the GP has done to lessen the "spoiler" effect of 3rd party candidates (Instant Runoff Voting). GP supports Feed-in Tariffs and explains what it is. GP also supports Voter Owned Elections to provide public funds to candidates for city major and city council positions. First broadcast on Sept. 18, 2011. Robin Morris Collin and Robert William Collin address issues of environmental justice and equity. Robin is a professor of law at Willamette University College of Law and Robert is Senior Researcher at the Willamette University Center for Sustainable Comunities. Issues covered include how to define sustainability as well as equity, talk about inter-generational responsibility, and who benefits and who is harmed with environmental decisions. First broadcast on Sept. 11, 2011. Laura Stevens with the Sierra Club's Beyond Coal Campaign explains the reasons for the campaign, talks about its successes, efforts to stop PGE's Boardman plant from using coal, the efforts of multinational corporations to site coal export terminals on the Columbia River towns of Longview and St. Helens. We talk about the environmental consequences of coal use. First broadcast on Sept. 4, 2011. Anti-nuclear activist Lloyd Marbet examines the origins of the nuclear meltdown at Fukushima and the consequences of this nuclear disaster and others which came before. First broadcast on August 28, 2011. Host David Delk interviews Julia DeGraw, NW organizer for Food and Water Watch. Focus is on their campaign for food safety during the first half of program. The second half focuses on water, on the development of the ideologue that water should be a commodity instead of a common good. Talks about campaign to "Take Back the Tap." And then details campaign opposing Nestle's plans to build bottled water plant in Cascade Locks, OR. First broadcast on August 21, 2011. Dr. Zaher Wahab, Education Prof at the Lewis & Clark College Graduate Program, discusses the situation in Afghanistan, the origins of the American war on Afghanistan, the costs for American and its effects on the American budget and domestic spending, the injuries to the Afghanistan people as well as Americans. Discusses why America is there including discussion of Project for a New American Century, control of minerals (oil and gas, copper, gold etc), control over the Caspian Sea, giving NATO a mission to continue existence, and good for big business. First broadcast on August 14, 2011. Dr. Zaher Wahab, Professor of Education at Lewis & Clark College, Education Graduate Program, advocates for a new type of education that educates for critical thinking. Most American education is in line with current political economy & corporate desire for good workers, not critical thinkers. Discusses the drive for corporate control over education's future direction. States that if corporations want well educated workers, they need to stop exporting jobs . Alliance for Democracy member Nancy Matela has been a election integrity activist and currently works on water issues and the human right to water. Nancy reviews reforms which Oregon has made in their election system. She then talks about the Hanford Nuclear Reservation and then goes on to talk about privatization of water with examples from Oregon. Examples include the Nestle proposals to bottle water at Cascade Locks, the Wilsonville water treatment plant and others. Note that bottled water is privatization of water, a public resource. Discusses the different regulations on water depending on if water is a commodity or not. Portland attorney and advocate for campaign finance reform addresses decisions of the US Supreme Court during the past term which increase corporate power. Dan talks about the privatization of the American judiciary system. David, Cobb, chief spokesperson for Move to Amend, talks about corporate personhood and how to eliminate it by amending the US Constitution. Portland State University visiting economics professor Robin Hahnel talks with us about the origins of the climate crises and the international attempts at agreement to address the crises; the role of the United States in failing to do so. Portland State University visiting economics professor Robin Hahnel talks with us about the origins of the climate crises and the international attempts at agreement to address the crises; the role of the United States in failing to do so. We end on a note of hope talking about the German response to the Japanese nuclear catastrophe. We talk with Dr. Samuel Metz, founder of Mad As Hell Doctors, on the current status of single payer health care in the United States and Oregon. Host David Delk interviews Ex. Dir. 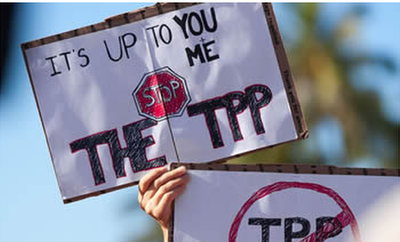 of Oregon Fair Trade Campaign, Arthur Stamoulis, on the soon-to-be introduced "free trade" agreements (FTA) with So. Korea, Panama, and Columbia. He discusses the effects of past FTA, recent decisions by the WTO and provisions of of the South Korea agreement in some detail. Host David Delk interviews Jared Gardner, Co-director of Oregonians for a State Bank, on the need and justification for forming state banks and the current status of doing that in Oregon. Topic: How do we remember our past? Sometimes we have to research it and publish it ourselves. Retired political science professor Michael Munk has done just that. Host David Delk interviews author Michael Munk on the publication of the second edition of his book, The Portland Red Guilde. Topic: How do Feed-In Tariff work to rapidly jump start production of renewable energy and produce good paying jobs? Host David Delk interviews Judy Barnes, co-founder of Oregonian for Renewable Energy Policy, on the use of Feed-In Tariffs to address the global climate crisis by quickly jump starting the production of renewable energy sources and good paying green jobs at the same time. Host David Delk interviews Steve Cowan, director of PriceLess, a documentary video on the need to get big special interest money out of the political system. He advocates for the use of public financing for federal campaigns (Voter Owned Elections). Gerry Pollet, Exec Director of Heart of America NW, is interviewed on the current status of the clean up to the Western Hemisphere's most contaminated site. Talks about USDOE plans to bring additional radioactive waste to Hanford even before the clean up is complete. Notes that there are upcoming hearings on USDOE proposals to use Hanford as the nuclear waste dump site for the nation. Host David Delk talks with Spencer Burton on the efforts to put Voter Owned Elections back on the ballot in Portland in Nov 2012. Host David Delk talks with Miki Barnes on the future corporate development of cities centered around airports. Corporate globalization has created a new class of people who are not connected to place; for these people the airport is the center of their lives and the airport is now being developed with all of the needs of this corporate elite in mind. The conversation moves to the specific situation in Portland, with the Hillsboro airport being used as an example of how that affect people in local communities. .
Dan Serres with Columbia Riverkeeper talks about the current status of proposed LNG terminals and pipelines in Oregon and the relationship between LNG and the environomentlly destructive fracking process. Karen Coulter, with the Program on Corporations, Law and Democracy, speaks with us on corporate personhood, including what a corporate person is, how the Constitution deals with corporations, details some important judicial decisions which created corporate personhood, what constitutional rights corporations have received, and what happens if corporate personhood is eliminated. Portland Jobs with Justice Economic Crisis committee chair, Laurie King, discusses the importance of events in Wisconsin including the actions of Governor Scott Walker and the worker reactions to it. We touch on proposals in Michigan to establish a Viceroy governmental system; people's efforts at self-organizing for their own objectives; Korea Free Trade Agreement and the planned Rally/March for Jobs with Benefit, Not Cuts scheduled for Portland on April 16, 2011. Former Green Party presidential candidate David Cobb discusses the need to amend the US Constitition to eliminate the corporatist activist judges' granting of personhood to corporations. David is the chief spokesperson for MoveToAmend.org Part 2 of 2. Former Green Party presidential candidate David Cobb discusses the need to amend the US Constitition to eliminate the corporatist activist judges' granting of personhood to corporations. David is the chief spokesperson for MoveToAmend.org Part 1 of 2. Topic: Should Portland rejoin the Joint Terrorism Task Force (JTTF)? Portland attorney Jason Kafoury discusses the reasons not to rejoin the JTTF. The FBI arrested Mohamed Osman Mohamud for plotting to bomb the Christmas tree lighting at Pioneer Square in November 2010. Frightened city commissioner and others then called for the city to rejoin the JTTF, from which an earlier city council had withdrawn. For additional details on the attempt by the FBI to wipe up fear, see this from Prison Planet. Host David Delk interviews Janice Thompson, Exec Director of the Common Cause Oregon. Janice explains that the Electoral College does not need to be eliminated via a constitutional amendment. Rather, the states can individually join a compact known as the National Popular Vote to render the effects of the Electoral College null and void. Executive Director of Portland Jobs with Justice, Margaret Butler, describes what Jobs with Justice is and how they, as a coalition of labor and community organizations, organize for labor and human rights. Host David Delk interviews Judy Barnes and Mark Pengilly of the Oregonians for Renewable Energy Policy, a program of Alliance for Democracy. Germany used the world's first feed-in-tariff law to became the world's leader in renewable energy production while creating ten of thousands good paying jobs which could not be off-shored. Host David Delk interviews Dan Meek, advocate for campaign finance reform in Oregon, on the significance of the US Supreme Court decision in the Citizens United v. FEC case. Includes discussion of Senator Udall and Senator Merkley' s effort to reform the filibuster rules in the US Senate. This is part two of a two part interview. Host David Delk interviews Arthur Stamoulis, Exec Director of Oregon Fair Trade Campaign, on the newest NAFTA style free trade agreement, that with Korea. Negotiated by Pres. Bush, this will be introduced by Pres. Obama during 2011. 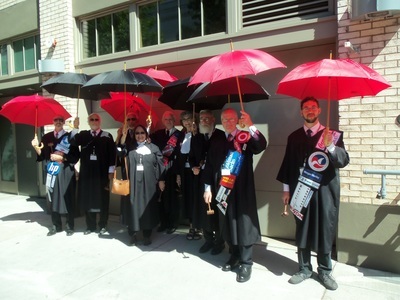 Host David Delk interviews Portland lawyer Dan Meek, advocate for campaign finance reform in Oregon, on the significance of the US Supreme Court decision in the Citizens United v. FEC case. 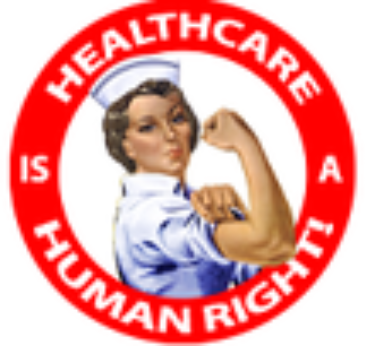 Host David Delk interviews Dr. Samuel Metz on what single payer health care is and how it can be part of the solution to the health care crises which continues in spite of Obamacare.